Welcome to one of the largest contiguous tracts of old growth longleaf pines in Florida. Once the dominant tree of the South, our Big Pine Tract of the Chinsegut Wildlife and Environmental Area serves as a window to this now less-common ecosystem. Fire and harsh weather-tolerant, some of the tallest may be more than 300 hundred years old. Distinctive for their towering height of 80 to 100 feet at maturity, they have needles up to 18 inches long. These stately conifers also yield extra-large cones. Cones of these trees range in size from 5 to 12 inches. The seeds within the cones are high in fat and prized by such animals as mice, birds and squirrels. Once nearly limitless, longleaf pine lumber was of exceptional quality and widely used for building ships and railroads. They were also tapped for their tar, pitch, turpentine and resin. Most of the longleaf pines were gone by the 1920s. Considerable efforts have gone into protection and restoration of this unique ecosystem. Several endangered and threatened species, including indigo snakes and the rare red cockaded woodpeckers, rely on longleaf pine for habitat. 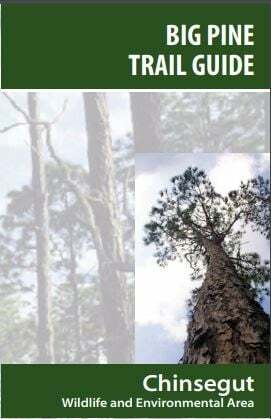 Download the Big Pine Trail Guide and take a walk among the tall pines today!